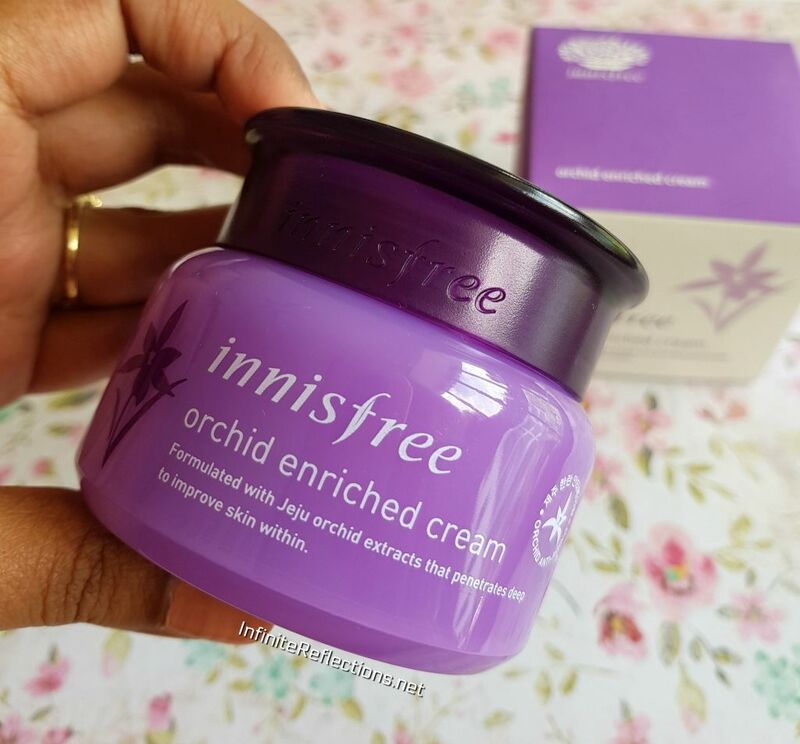 The Innisfree Orchid Enriched Cream is from the anti-ageing line of Innisfree and is made with Jeju orchids for youthful and healthier skin. I would be completely honest, as much as I love skincare, it feels like I am learning new things everyday. 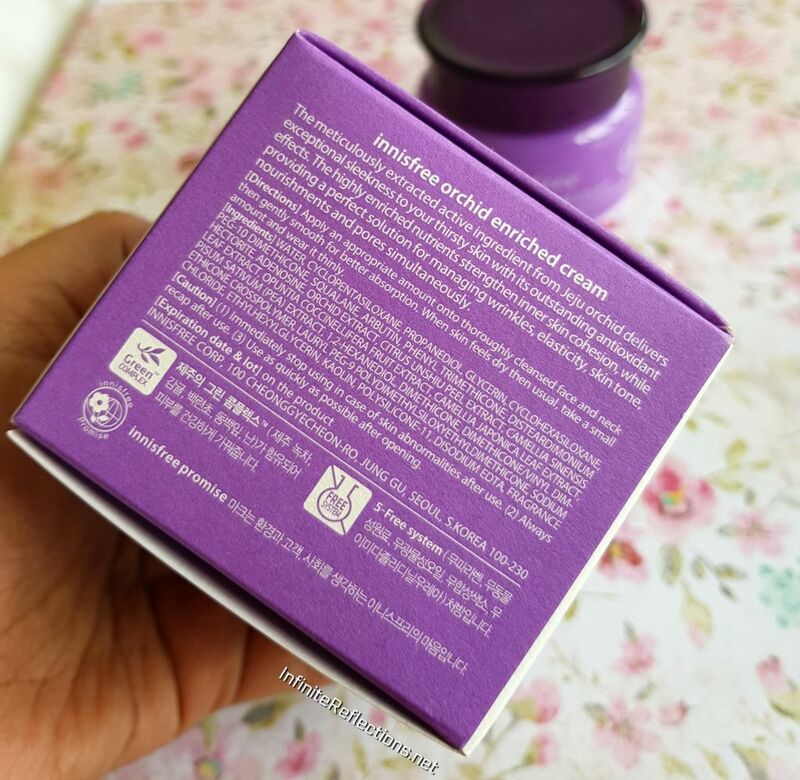 It’s only after I got this cream, I sat and took notice that orchid infused products are quite a thing and have been out there for quite a while. I may have used orchid infused products before but I never really took serious notice or tried to learn about them. I guess I always associate purple with lavender products! But, orchid extract is known to reduce fine lines and wrinkles and also helps in retaining moisture in the skin. 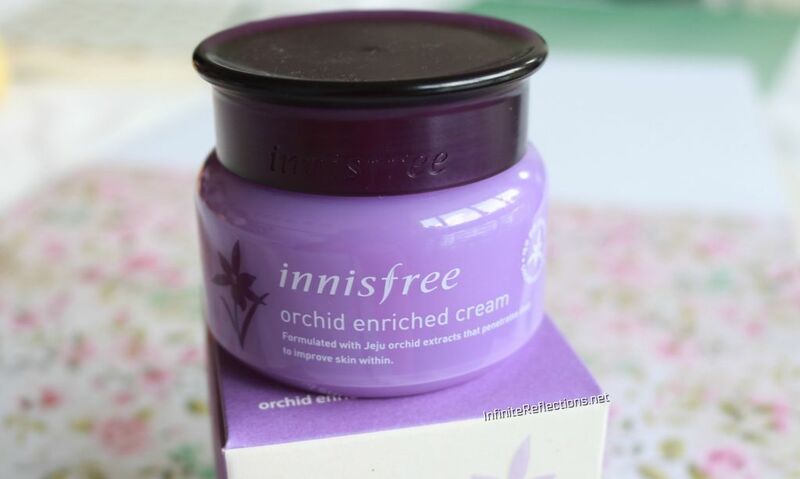 Innisfree Orchid Enriched Cream is an anti-aging cream made with Jeju orchids for youthful and healthier skin. It is also free of parabens, animal-originated ingredients, mineral oil, synthetic colorants and imidazolidinyl urea. If you guys know me, then you probably know what I am going to say about the packaging. It’s PURPLE and it’s so pretty! The packaging and the colour was one of the reasons I got attracted to it. 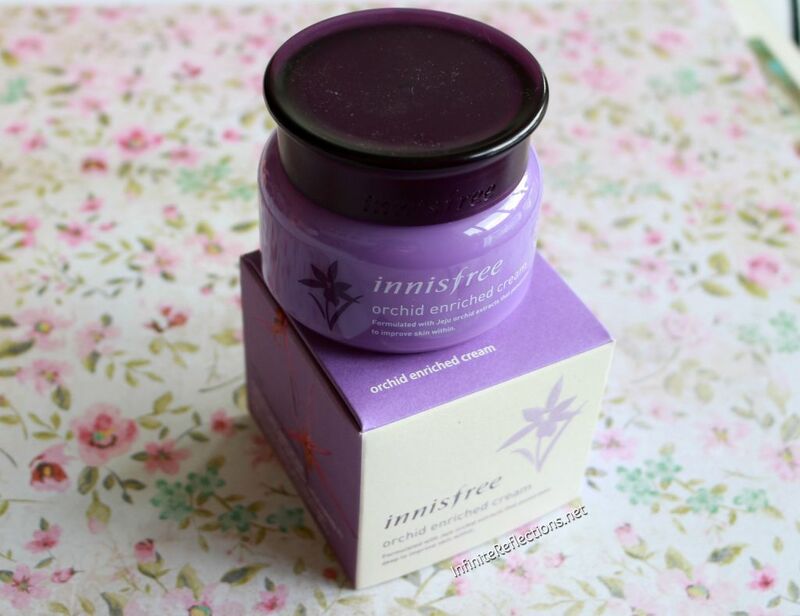 I love the lavender-purple jar which is a standard packaging for most Innisfree creams. It’s a standard plastic jar and I really like how it looks but nothing specific to point out about the packaging. This retails for SGD 43 here in Singapore and you get 50ml of product. This definitely is on the more expensive side because it’s a speciality product, I guess. So, I would recommend you try out at the store or get a sample before you invest in this. Fragrance is a very important factor for my skincare products. If it is going to have a scent, it better be mild and pleasant. Thankfully, none of the Innisfree products which I have used till now have bothered me in this department. 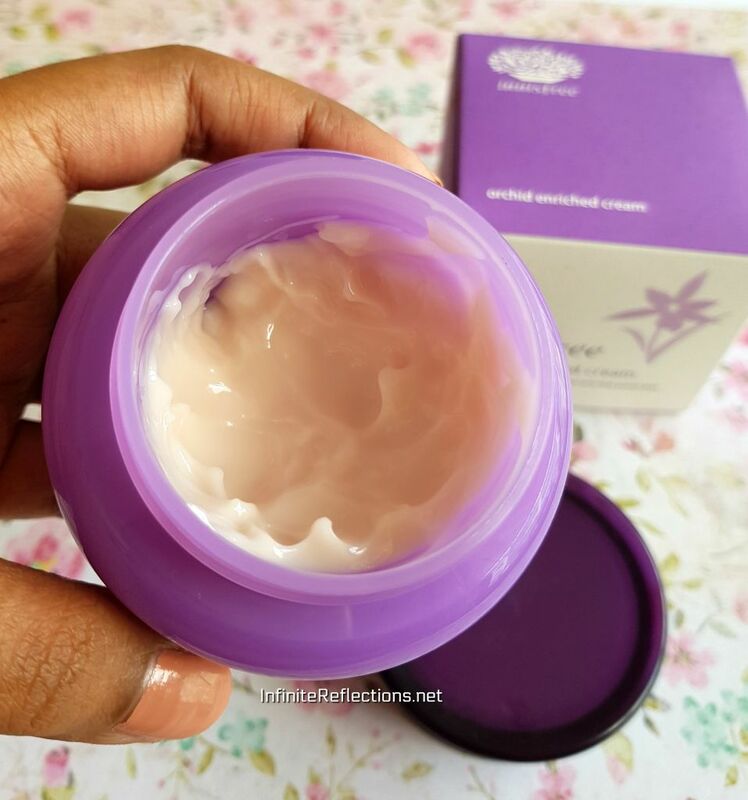 This cream has a very mild fresh floral scent, but not too floral and I love it! 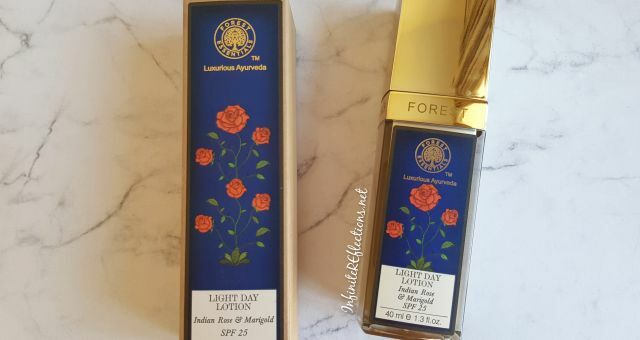 The fragrance does linger for a little while but I don’t think anyone will have major issue with this fragrance because it’s quite mild. 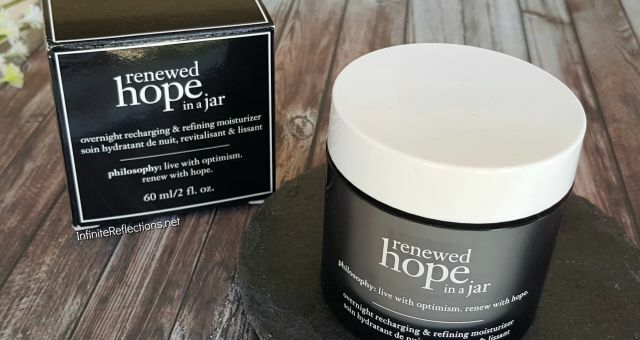 The texture of this cream is quite gel like and lightweight when you feel this in the jar but when applied on to the face it doesn’t feel very lightweight. 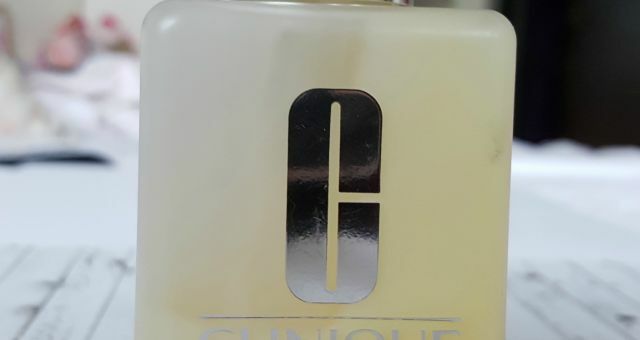 When applied, some of it does get absorbed into the skin and the skin feels heavily moisturized but quite a lot still stays on the skin and gradually absorbs over time. This has to be applied as you would apply any moisturizing product after regular cleansing and toning routine. Ok, here are my final thoughts. I do really like this cream but I am not head over heels in love with this. As claimed, this cream does make my skin look and feel very smooth, fresh and youthful. I don’t have too many fine lines to begin with so I won’t be able to confirm on that part but it does minimize the visible appearance of pores to some extent as well. It is highly moisturising to the extent that it is too moisturizing for me, if that even is a thing. I have normal to dry skin and I love hydrating creams but my problem with this cream lies in the fact that it is quite heavy. I feel this can be used only during the night time if you have normal to dry skin, since it is very moisturizing and feels very heavy on the skin. I am not able to use this during the day time and it doesn’t sit very well under makeup until and unless you use a very small amount. So, if you have combination skin or oily skin then stay clear of this cream. This is going to be very heavy on you. I believe there is a gel in the same line which may be more suited for those skin types. This is an excellent option if you have dry to very dry skin since it gives intense hydration along with a lot of other benefits. If you have very dry skin, then you might be able to use it during the day as well. So, overall I do really like this cream as a night cream and when I wake up the next morning the skin feels super hydrated and fresh and I will probably repurchase this again after a few years when and if I get more fine lines. But, for the time being I don’t love this product enough to repurchase. Gives a fresh and youthful appearance . Will be ideal for dry to very dry skin. Some people may find the texture really heavy on the skin. Not suitable for combination to oily skin, try the gel instead. Ideal as a night cream as it is quite heavy. That’s all for today everyone. Hope this review helped and do let me know if you have used this product and what was your experience. Check out my YouTube channel where I have lots of videos! I love how you actually use the product and then review it in details. I think it will work good for me as i have dry skin . Oh yes! Stay far far away..
thank u for the review its such a great cream of dry skin people …..